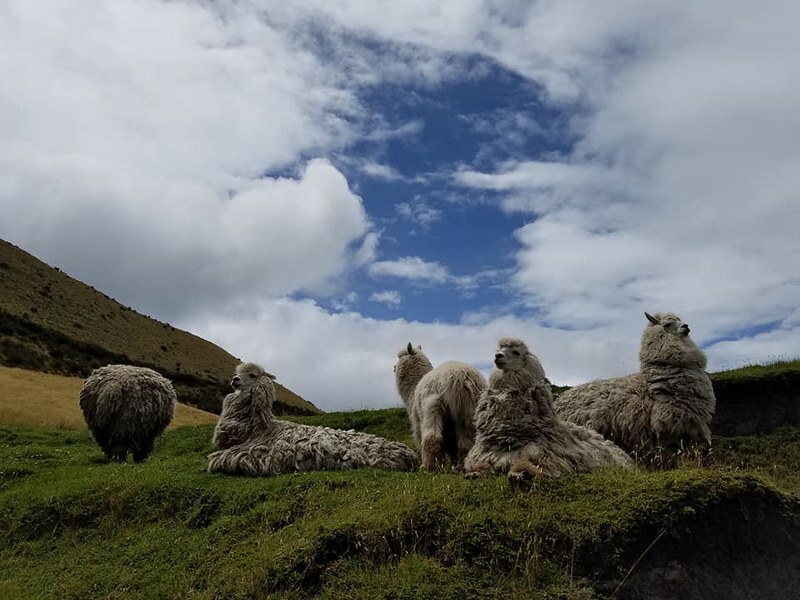 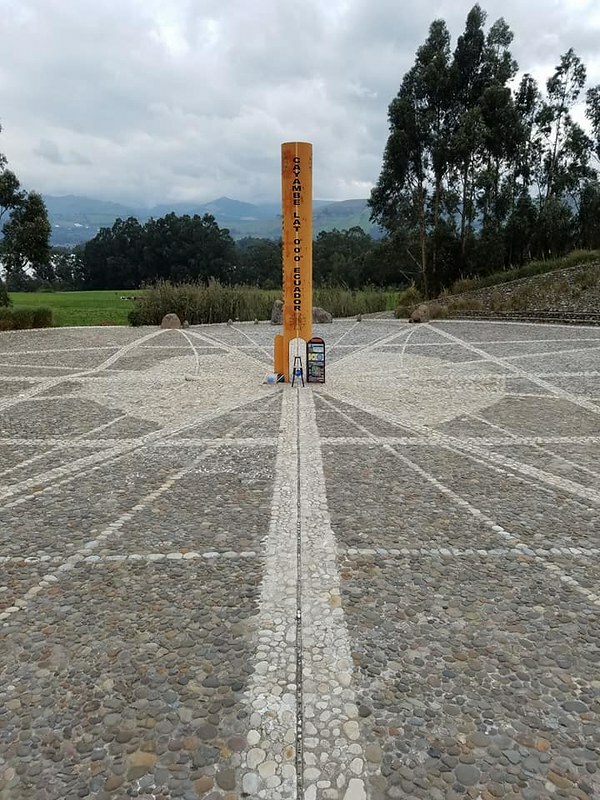 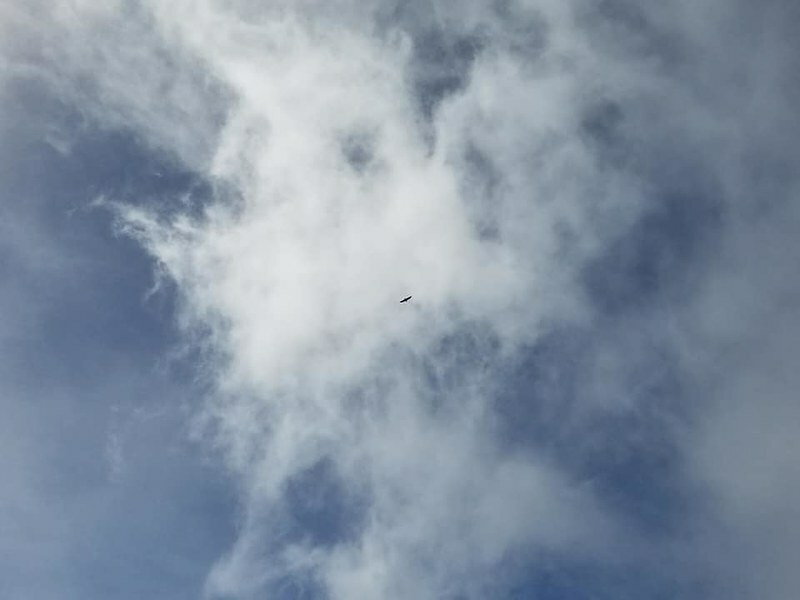 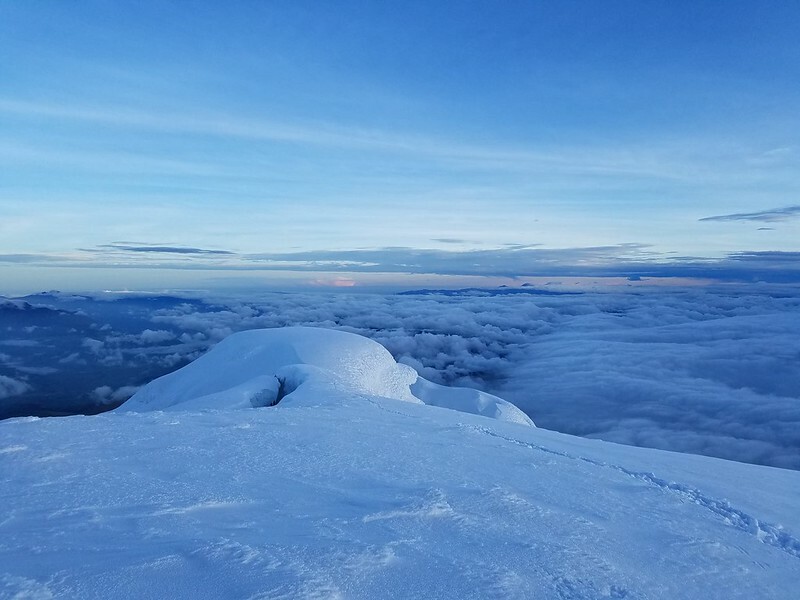 The 19,000-foot extinct Cayambe volcano is the third highest mountain in Ecuador (after Chimborazo and Cotopaxi), and the highest point on the surface of the Earth through which the Equator directly passes. 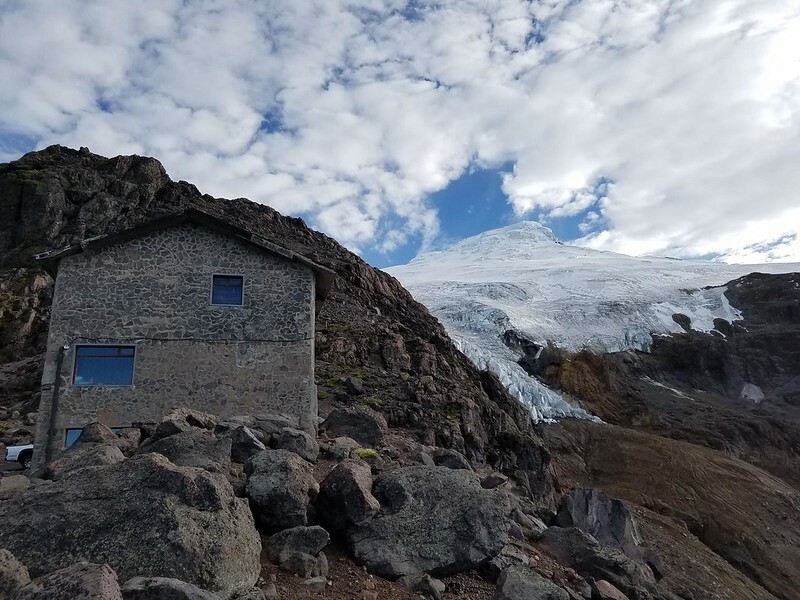 The normal route starts at Cayambe Hut (15,100 ft) and leads up the massive western glacier. 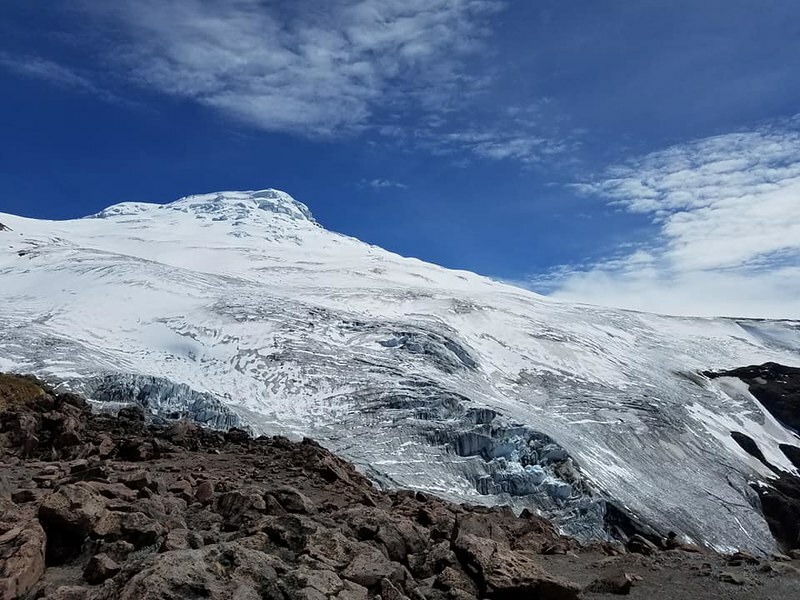 The first section leads up to the glacier (15,800 ft). 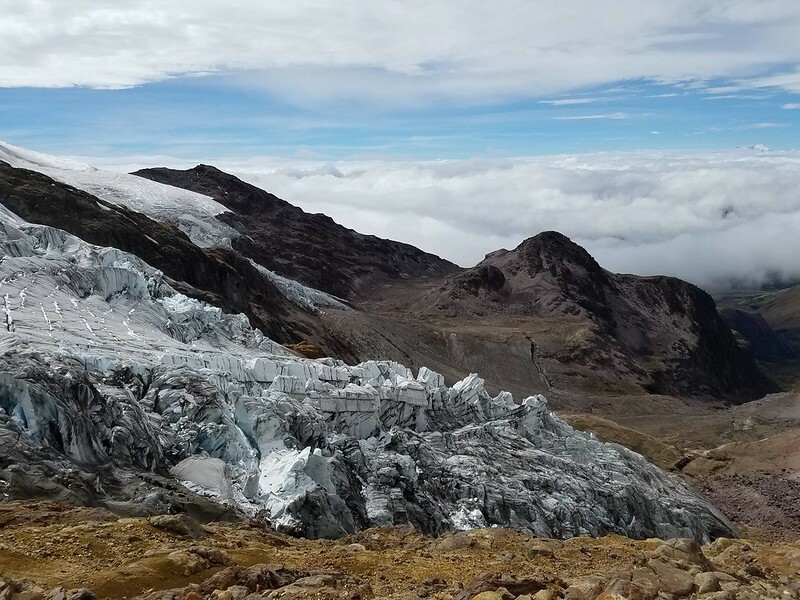 This part is rocky/sandy with some easy scrambling. 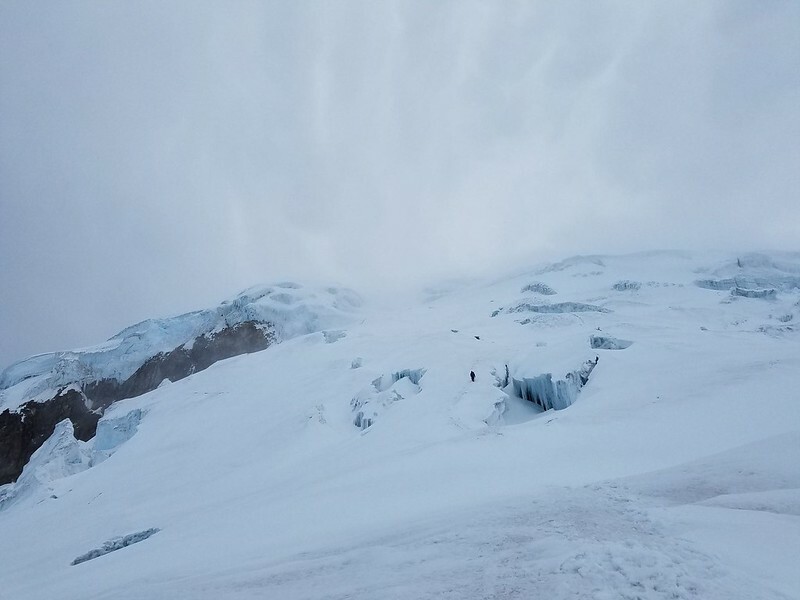 The second section leads up to a rock formation (17,200 ft), passing it to the right. 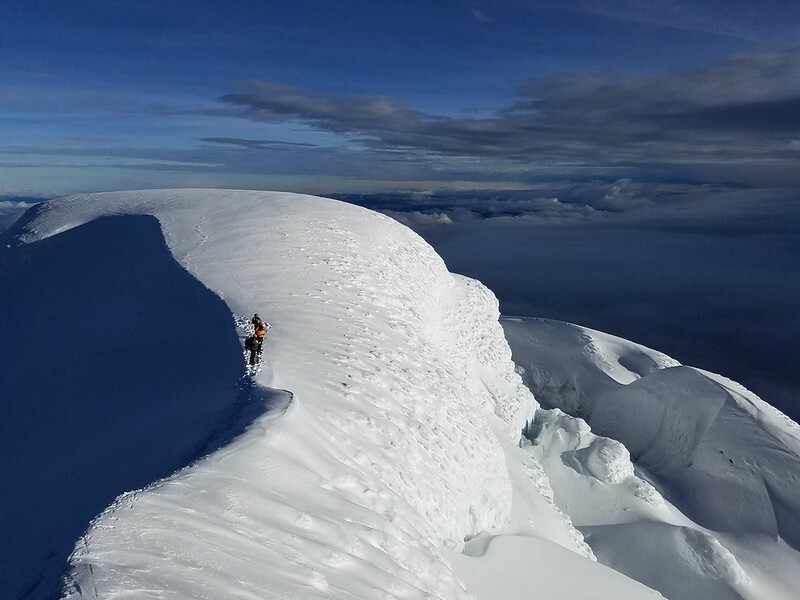 The third section leads up to the summit step (18,500 ft), passing some huge crevasses. 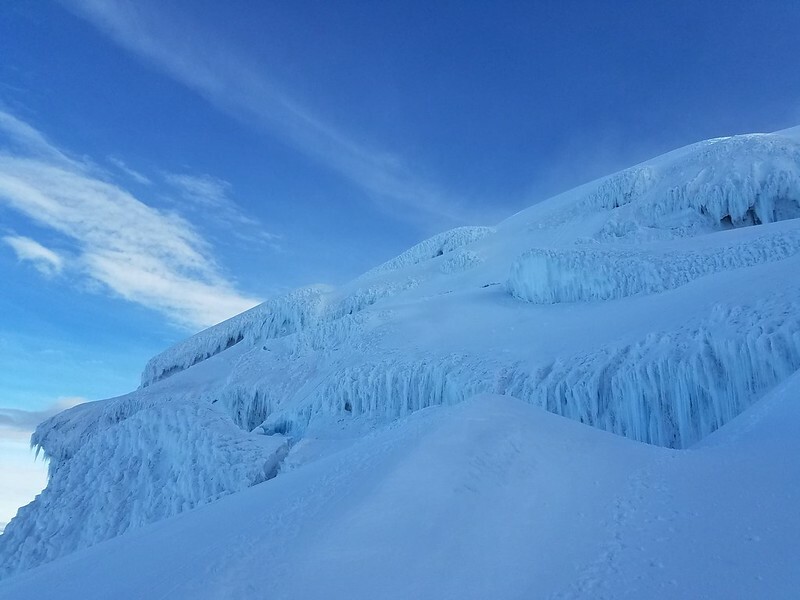 The fourth section leads up the summit step and along the summit ridge to the summit. 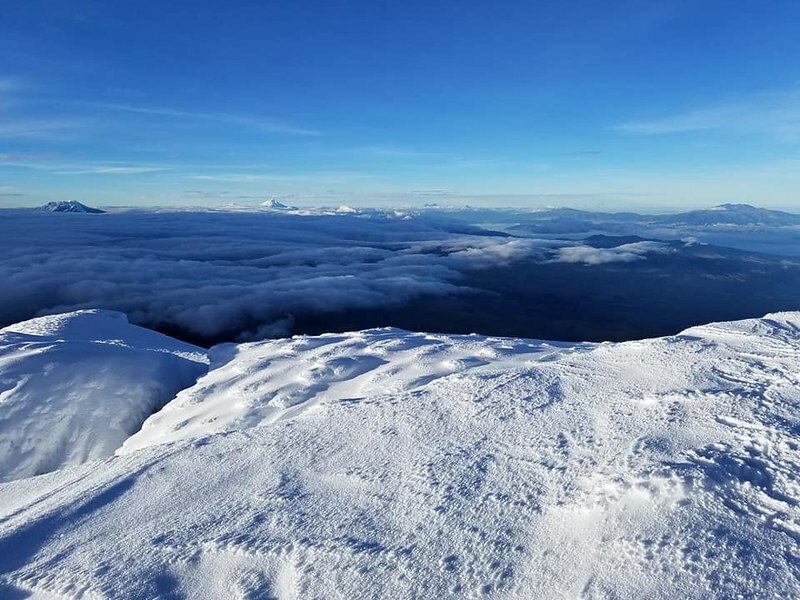 Cayambe offers spectacular views, including those of Antisana, Cotopaxi, Chimborazo, and other volcanoes. 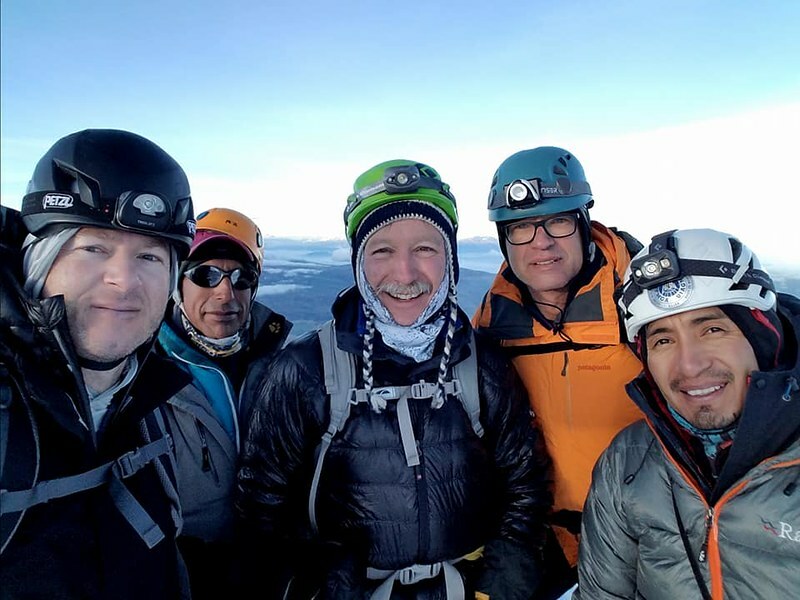 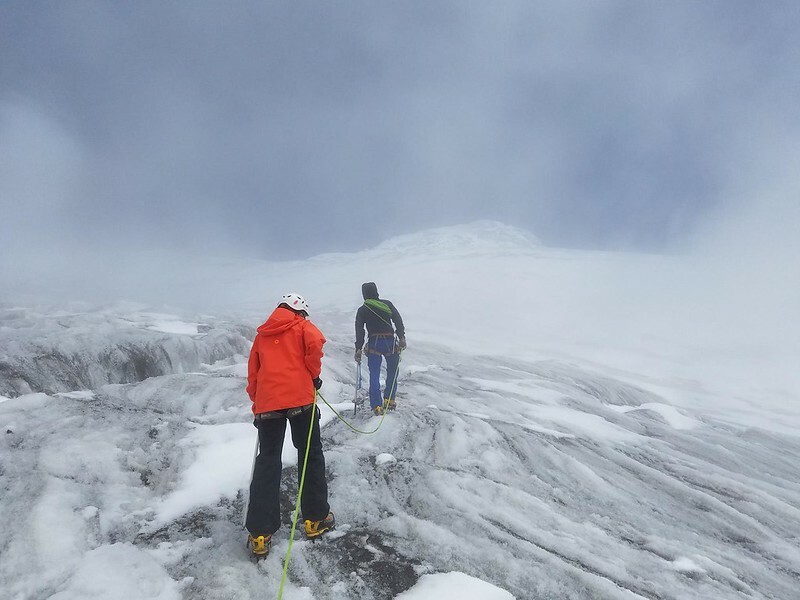 We spent three days and two nights on Cayambe to adapt to the altitude and review glacier skills. 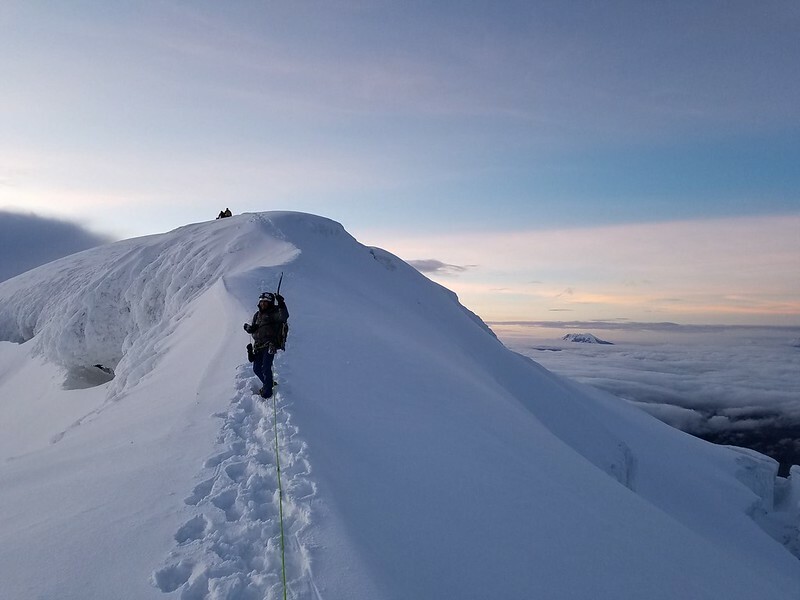 The final night we started the ascend at 11 pm. 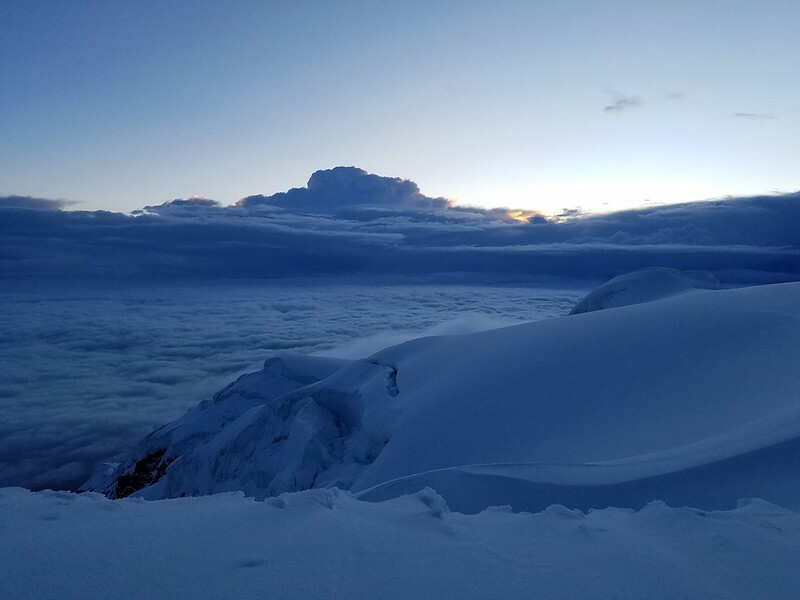 We reached the summit at 6 am and were back at Cayambe Hut at 10 am. 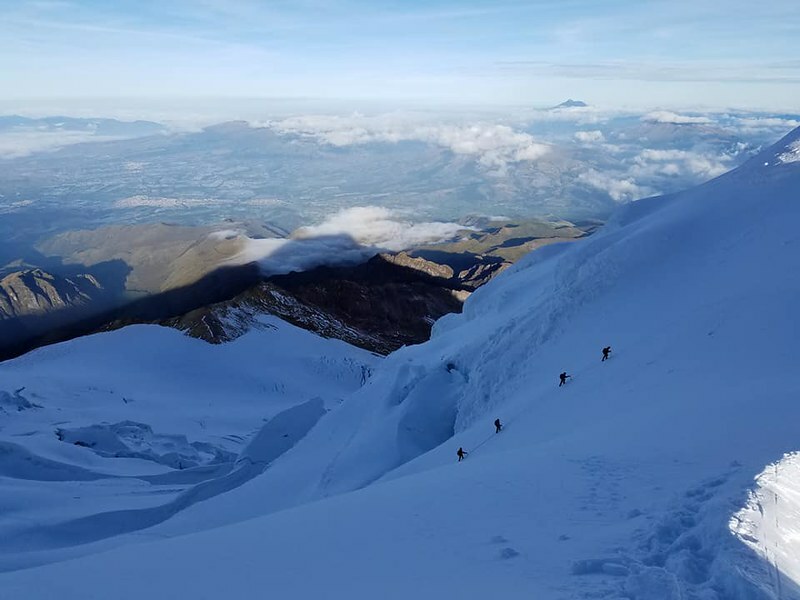 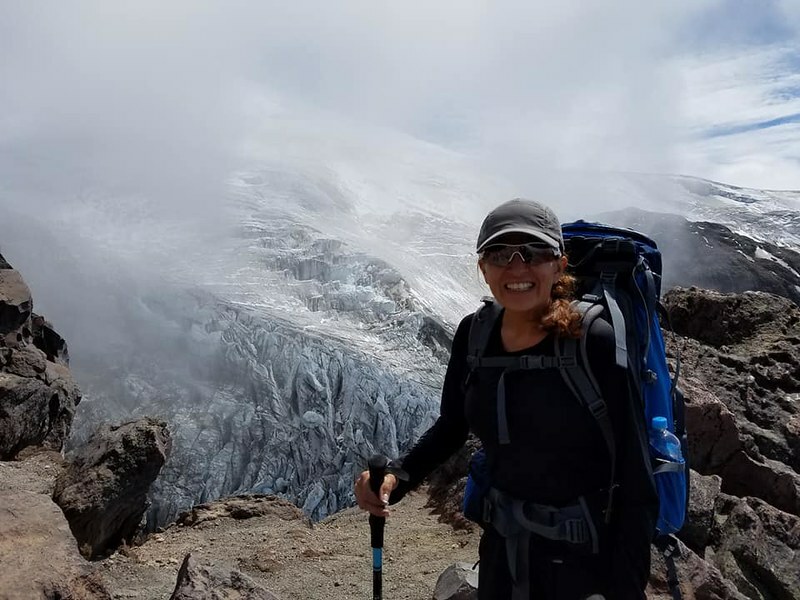 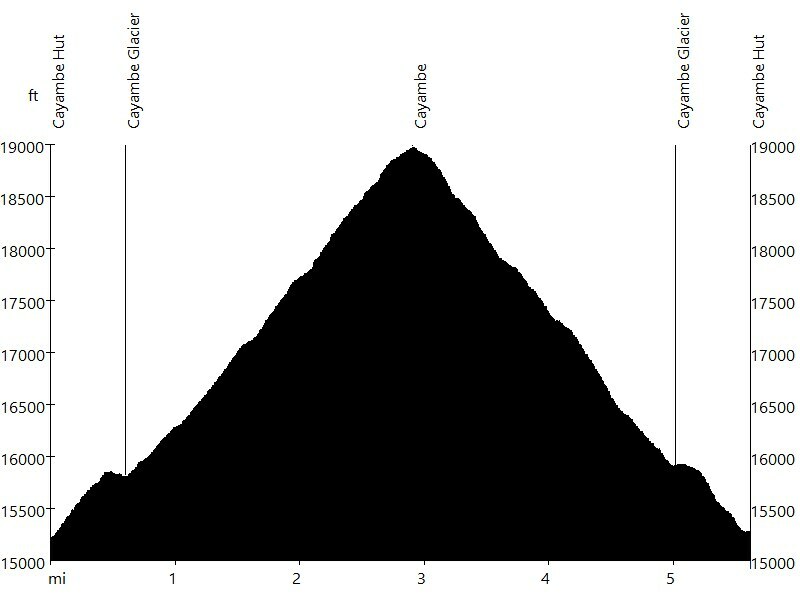 Cayambe is a personal altitude record, replacing my prior record Pico de Orizaba, Mexico.